North Goa Versus South Goa: What is More Your Type? Both North and South Goa have a unique charm; pick them according to what you're looking for on a trip. The conundrum of choosing between North Goa and South Goa is oftentimes legitimate. We often wonder which one is better than the other in terms of beaches, food, heritage and sightseeing. Let’s put the confusion to rest once and for all. They’re both very charming places, with very different experiences to offer. Neither is better than the other. Yes, staying in South Goa is slightly more expensive than staying in North Goa, but otherwise it just depends on what you want from your trip. Here’s helping you decide. Both South and North Goa enjoy tropical weather. However, travelling in South Goa is slightly better because the weather there is less humid than in North Goa. 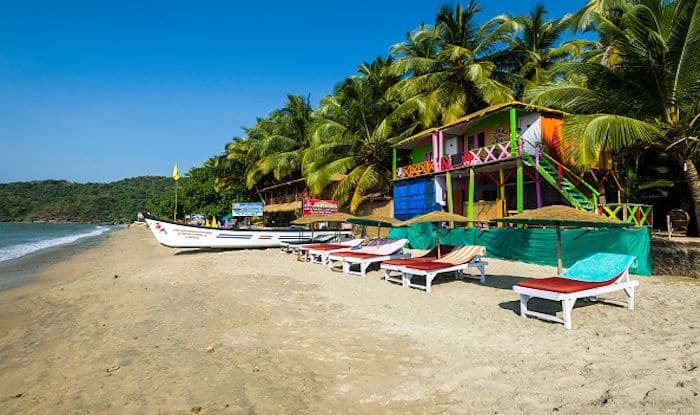 If you’re a party animal and love a happening vibe, the beaches in North Goa are your answer. From Baga Beach, Vagator Beach, to Anjuna Beach and Calangute Beach; this is where you can enjoy jazzy night parties, buzzing streets, water sports and street food. But if you’re looking for an unadulterated beach experience, with a lot of quiet and pristine waters for company, head to the beaches of South Goa. You can choose from Palolem Baech, Butterfly Beach, Utorda Beach and Majorda Beach. Most of them have beachside restaurants that serve delectable seafood. Other than the golden beaches, Goa is known for its catholic buildings with beautiful architecture. The churches of North Goa usually have an old-world charm; you feel as if you are in a Portuguese colony upon entering them. The must-visit ones are Church of St. Catherine, St. Antony’s Church and Church of St. Lawrence. The churches of South Goa are newer as compared to the ones in North. The highlight of these are the vaulted interiors that overwhelm the visitor by their sheer grandeur. Some of the best ones are Rachol Seminary, Our Lady of Hope Church, Velim Church and Three Kings Church. For the street food enthusiast, North Goa is a stairway to heaven. There are innumerable beach shacks serving delicious, piquant Goan cuisine. Try Fellini’s Pizza and Matsya Freestyle Kitchen for calzones, seafood and the good old feni. However, if you want to soothe your tastebuds with authentic Goan delicacies, visit the restaurants on the beaches of South Goa. To name a few, Martin’s Corner and The Village Square whip up scrumptious food. From famous forts such as Fort Aguada and Chapora Fort to gorgeous wildlife parks such as Mhadei Wildlife Sanctuary and Bondla Wildlife Sanctuary, North Goa is a traveller’s delight. However, if you want a slightly offbeat experience, a sunset at Cabo De Gama and Rachol Fort or a family outing at Codigo Wildlife Sanctuary are best done in South Goa.